It is significant that you use the cash that you have saved for bad times. In busy times, you can come across cash shortfalls. You can open a Money Market Account (MMA) that offers a decent interest rate and then link the MMA with your business checking account to account for these cash shortages. The most efficient way of controlling cash flow is the preparation and implementation of ‘cash flow forecast.’ Allowing you can have a close check and balance on the cash flowing in and out of your salon/spa. It will predict the possible outcomes and shortfalls. 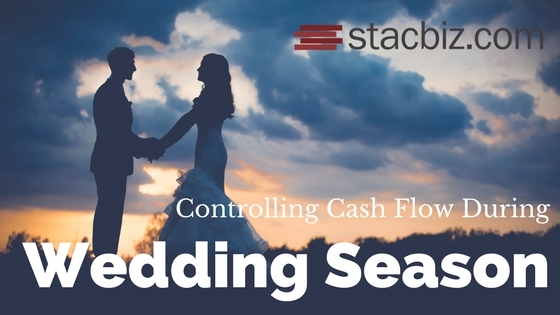 Prepare a cash flow forecast before busy wedding months come along, this can assist you in controlling the amount of profit that you make or the losses. Since the month of July will be a hectic daily routine, you need to check the cash flow regularly. Online accounting software can help you in this aspect. Accounting software can assist in saving time, and help with all that massive amounts of work in managing the cash flow. Start relying on technology in today’s age. A perfect control over your cash flow even in the busiest days of the year. Making the payment process easier will help you since you won’t have to wait for the payment to arrive in your bank account. You should encourage the customers to pay upfront or use online payment. Having a cash reserve for your business is crucial since good and bad days can come any time of the year. Your salon/spa might be facing the busiest days of the year in the month of July, but you need to have some cash saved in case you face cash shortfalls. The cash reserves might serve as a cushion for you in case you face harsh times.